One of the neat things about the new iPad Pro 2018 models is that they offer more internal storage options than ever before. Now, you can get internal storage options as high as a whole 1TB — that’s a massive amount of storage space, but it’s available now because Apple is hoping people will do things like edit 4K video on the tablet. That takes up a lot of space, thus the new storage options; however, not everyone has the few thousand dollars to drop on an iPad Pro 2018 with 1TB of flash storage. Thankfully, Apple is opening up microSD and SD card support with the iPad Pro — that will require a dongle still — but it’s a much cheaper way to get plenty of storage for your new tablet. Just like anything, you don’t want to pick up any ol’ microSD memory card. You need something that’s going to be able to keep up with your speed requirements — after all, moving 4K video files around can be prove to be pretty demanding. Not sure which one to pick up for your iPad Pro 2018 tablet? Follow along below and we’ll show you some of the best options available today. Here are our top picks. Coming in as our fifth contender, we have the SanDisk Extreme Pro V30 microSD card. 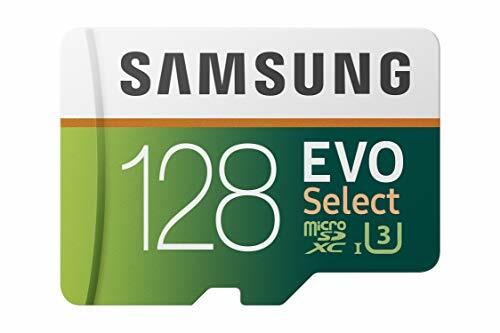 If you want something that will keep up the demands of 4K video, this microSD memory card will be right in your wheelhouse. Speeds are actually pretty impressive here — there’s a whole 90Mbps in write speeds and 100Mbps in read speeds. 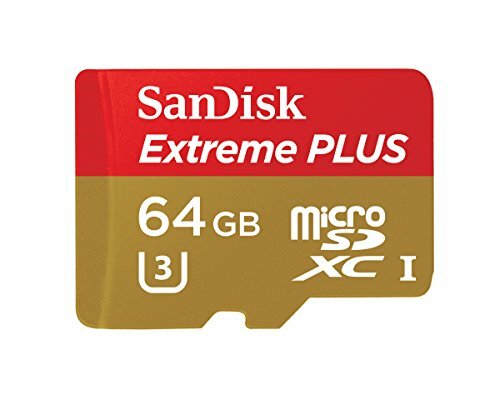 SanDisk has built a couple of resistances into the microSD card to give it protection against magnets, dust, dirt, and more as well. We really like the SanDisk Extreme Plus U3 microSD card, too. This one is particularly nice for those that are regularly in extreme conditions — i.e. really hot areas, around a lot of dust or dirt, magnets, and so on. 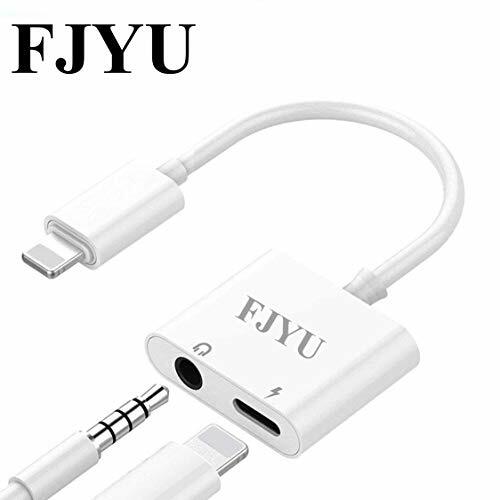 Accidentally drop this in a pool of water, and the microSD card will be fine — you’ll be able to use it as normal. There’s only 64GB of storage in this one, but you can choose to get it in varying sizes — keep in mind that the higher storage capacity you buy, the more extreme the price difference will be. 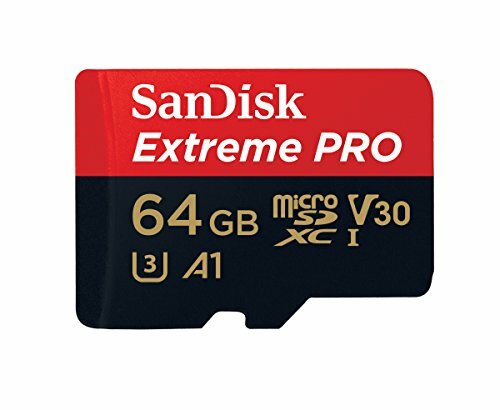 SanDisk says this one is 4K-ready, so you shouldn’t have a problem editing and filming 4K video with this card either. 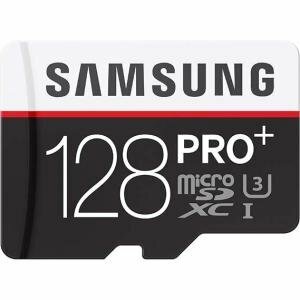 The third microSD card on our list is the Samsung Pro+. Designed for professionals, this is one of the better options available for doing things like 4K filming and video editing. This one has 128GB of space — however, you can upgrade it to higher storage capacities as well. Data transfer speeds are pretty impressive here — there’s a nice 95Mbps in read speeds and 90Mbps in write. Another neat thing about this particular card is that it’s magnet-proof, so you don’t have to worry about magnets destroying it. The Samsung Pro+ comes with a pretty hefty price tag, one that many folks don’t necessarily want to pay. If you need something a little more in your price range, then you might want to consider the Samsung EVO Select instead. 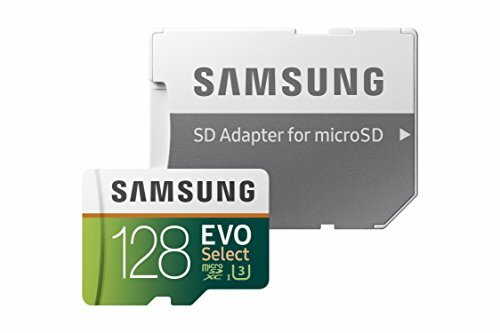 Like the Samsung Pro+, this one also has 128GB of storage space, which you can also choose to upgrade over on it’s Amazon product page. It has similar speeds to the Samsung Pro+, giving you 100Mbps in read speeds and 90Mbps in write speeds. Samsung says that this can actually fit a whole six hours of 4K footage in it. Coming in at first place is the Samsung EVO Plus. 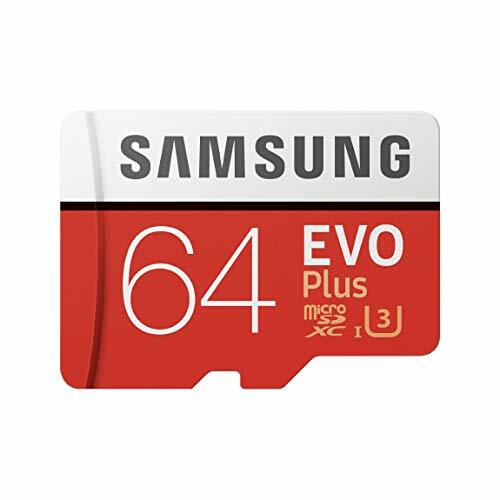 This one doesn’t outshine the Samsung Pro+ in any way, but it is the perfect mix between storage space and speed for those that are looking for your average everyday microSD memory card. There’s a whole 64GB of free space in this one, leaving you plenty of room for photos, videos, apps, games, and more. You can choose to get in less or higher storage options as well. Data transfer speeds are still pretty impressive here — it reaches up to a whole 100MB per second in read speeds, though write speeds are a little less impressive at just 60Mbps. Samsung says this one is still 4K ready and is backed by its 10-year warranty. As you can see, there are all sorts of neat microSD memory cards available for the iPad Pro 2018 — which one should you choose though? If you regular edit 4K video and need something that won’t ever let you down, the high price of the Samsung Pro+ is worth swallowing — however, if you need something for everyday use, the EVO Plus or the EVO Select will be more up your alley. Do you have a favorite microSD memory card for the iPad Pro 2018? Let us know in the comments section below. We’d love to hear from you!